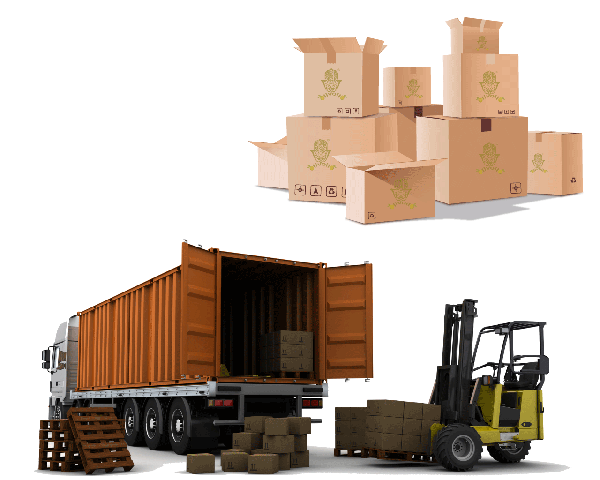 Harvesting Method : Hand Harvested , Piece by piece . 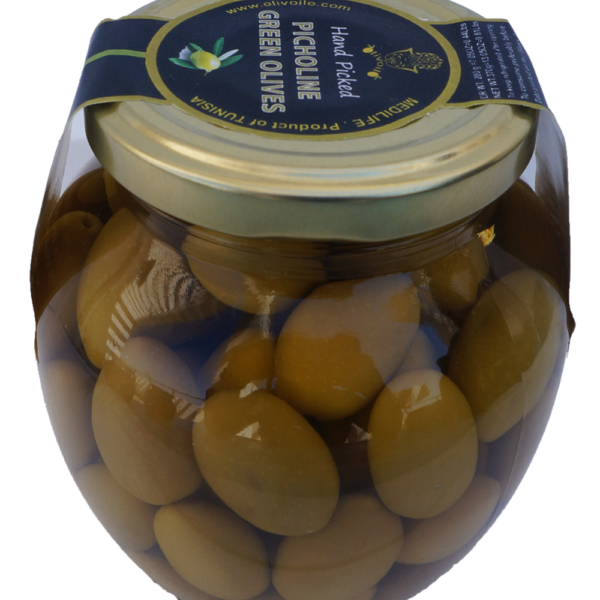 Tunisian Table Olives are produced using Organic processed. 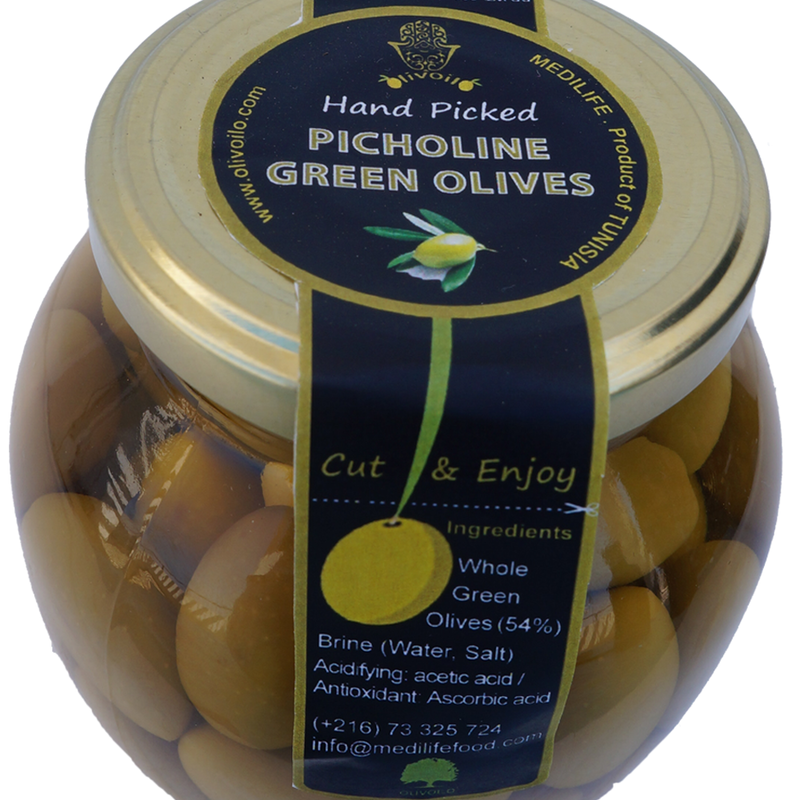 These are very high quality table olives, that enjoyed almost 12 months of a generous Mediterranean Sun. 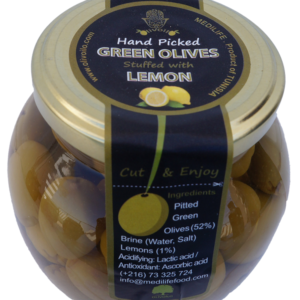 All our Table Olives are hand picked up , which is friendly for both, the Olive Tree and the Olive itself. 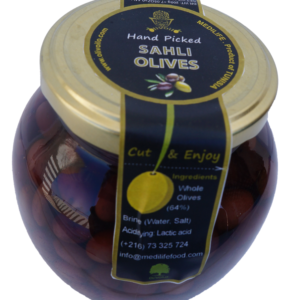 Most of our transforming process is made by hand, following the multi millenium tunisian culture of harvesting and preparing Table Olives. 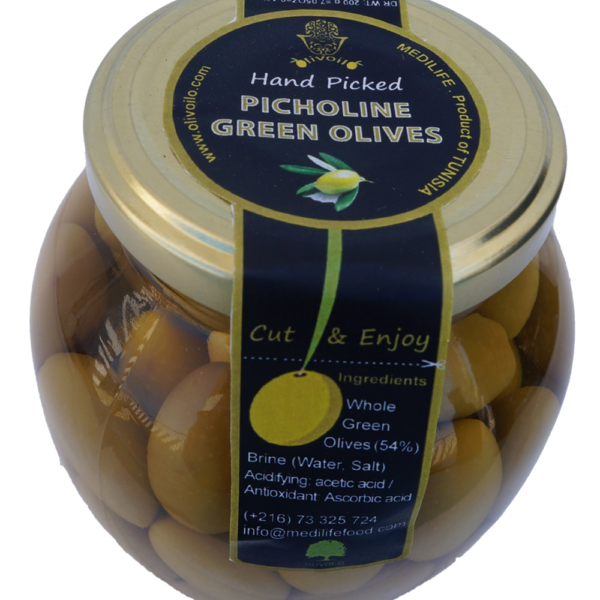 In the Carthaginian period, olive cultivation started to spread an account of several advantages granted to olive-growers. The Romans continued the expansion of olive-growing stepped up irrigation, olive oil extraction techniques. 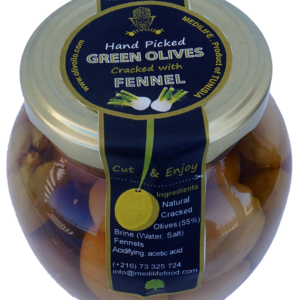 Excavations at Sufeitula (present-day Sbeitla) and Thysdrus (El Jem) and Roman mosaics discovered in Sousse, attest the widespread culture of olive-trees throughout Tunisia. 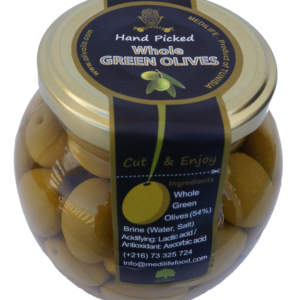 We’ll always provide our clients with 100% Tunisian Made High Quality Table Olives.